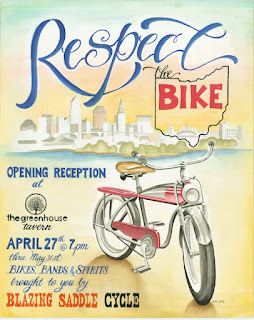 The greatest Ohio-built bicycles of the past, present and future will be on display during the month of May at the Greenhouse Tavern in a unique exhibit called Respect The Bike. 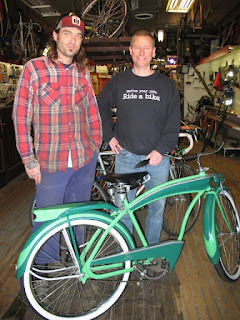 The vision of Travis Peebles of Blazing Saddle Cycle, Respect The Bike will feature bicycles from pre-1900 through current day builders such as Dan Polito, Rustbelt Welding, Carmen Gambino and more. 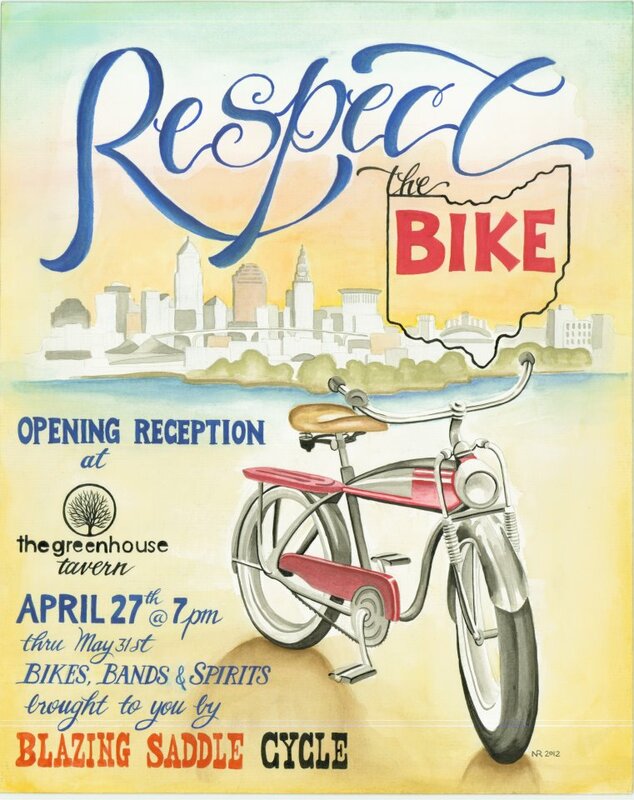 The opening reception is on Friday, April 27, at 7pm, and the bicycles will be on display at the popular Cleveland restaurant through May for Cleveland Bike Month. For more info and updates, see the event's Facebook page. We can't wait to see all of these amazing bicycles in one place, and we are particularly excited that the exhibit will feature a bicycle from the collection of Century Cycles owner Scott Cowan. He is loaning his 1941 Goodyear Double Eagle Clipper bicycle to Respect The Bike, which you can see him delivering to Travis in the photo at left. The Goodyear Double Eagle Clipper was manufactured by the Colson company in Elyria and was one of the last bicycles the company made before they had to redirect their manufacturing for the war effort. The bike was discovered in the Basinger family farm's barn in 2001 and was professionally restored by Basinger's son-in-law back to its original colors and glory. When Scott purchased the bicycle from the son-in-law last year, it instantly became the star of his already-stellar bicycle collection, and he's happy more people will get to see the Goodyear Double Eagle Clipper at Respect The Bike.